As adults, we’re not used to chatting each other up about pooping or peeing; it’s become something you might only discuss with your doctor, or that you consider icky or just plain TMI. But as parents, we have to set those notions aside when we’re potty training our toddlers. Adopting a communication style that is matter-of-fact and accepting will convey comfort and confidence to your child. 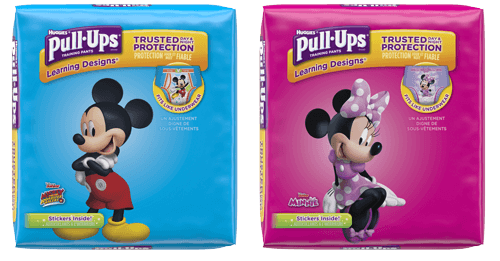 So we’ve come up with potty training scripts to help you develop the right tone and voice as you and your child start this journey. The scripts are based on each of the unique potty personalities. And don't forget, YOU need practice, too. Say a few potty praises into the mirror so you’ll be comfortable using them. Genuine, low-key, specific praise works best. Don’t just yell out, “Wow! Great job!” Instead, make an observation about a skill. Discuss with your little student: Does he want a little potty of his own? Or to use a potty insert? Another trick to try is the “backsplash” method: Have your child (girl or boy) sit backward on the toilet (with no insert). This helps the child to feel more stable.